Difference Between Texas Holdem & Omaha - Casino Answers! Both Texas Holdem and Omaha are very similar games. They are offered at a variety of game structures including limit, no limit and pot limit. You can also play them at full ring games, six max and heads up, and they both follow the same rules of pre-flop, a flop, a turn and a river. The main differences between Texas Holdem Poker and Omaha Poker are the amount of cards that you are dealt, and then what cards you can actually use to make your final poker hand. In Texas Holdem, you are dealt 2 cards. There is then the flop, turn and river known as the board or community cards, which are 5 cards. With the 5 cards on the board, and the 2 cards in your hand, you then use all 7 cards to make the best possible hand. So if the board is a rainbow board of AKQJT then the best possible hand for all players is the broadway straight. In Omaha Poker, you are dealt 4 cards as opposed to 2. However you HAVE to use exactly 2 cards from your hand, and 3 cards from the board to make the best possible starting hand. So if the board was AKQJT, you would have to be holding two of those cards to make the straight. If your hand was JT63 for example, you would use the JT from your hand, and the AKQ from the community cards to make the broadway straight. If your hand however was AA63, then you cannot use the 5 cards from the board – you have to use 2 cards from your hand, and 3 cards from the board, so you would use the AA from your hand, and AKQ from the board for 3 of a kind aces. Getting confused by this difference is actually a common occurrence in online poker, and you will frequently see players at lower limits make mistakes like this. If you have never played Omaha before then we recommend practicing it for play money first before actually playing for real money. 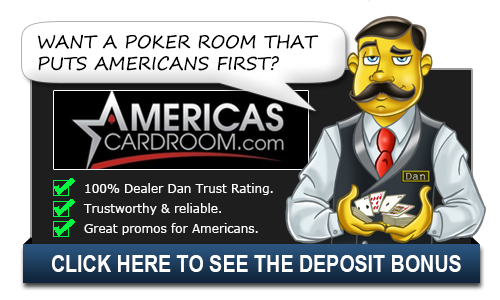 Pokerstars offer the best play money Omaha games. Where most of the confusion comes between these games is when you introduce the Hi/Lo component to Omaha. Omaha High works just like Hold’Em where the best hand wins the entire pot. Omaha Hi/Lo is when the pot can be split between two players with one winning the high and one the low. It is also possible to win both. The best possible low hand is one in which you have as many low cards as possible with none of them being over eight. The best hand would be A-2-3-4-5. Flushes and straights are ignored with the low hand so you could win both pots with a lower straight, flush or straight flush. Low hands are counted from the top down meaning they are only as good as their highest card. 8 being the worst of the high card and 5 being the best. So a 2-3-4-5-7 hand would be better than a A-2-3-4-8.